All in one schema.org rich snippets is a plugin and which I would recommend you use in conjunction with plug-ins like all in one SEO pack or York’s SEO. this plugin helps you boost your click-through rate in the search engine and improve your overall ranking. 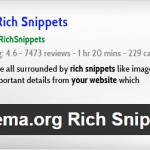 With All in one schema.org rich snippets, you can display user rating, events times, video thumbnail and more. 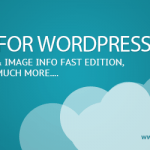 It works perfectly with all the major search engines such as Yahoo, Bing, Google and also supports Facebook.